Will Ariana ever get her happily ever after? 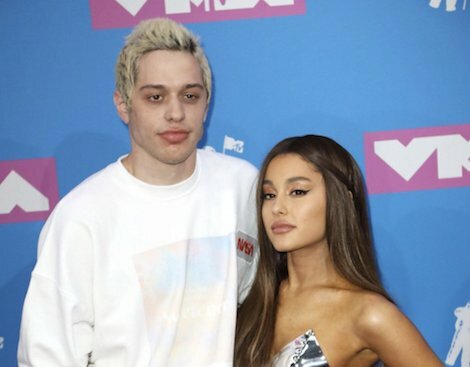 Ariana Grande and Pete Davidson were an item that proved popular within the media for the past couple of months. From getting engaged after two months of dating, to getting copious amounts of tattoos dedicated to each other and most importantly, adopting their beloved pet pig, Piggie Smalls, this couple have gone from one extreme to the other very quickly. Although these fairytale-like relationships seem like something people could only ever dream of, the reality is, is that fairytales aren’t real, and neither are happily ever afters. TMZ reported on October 14th that Grande and Davidson have split up over the weekend, with close sources stating that, “it simply wasn’t the right time for their relationship to take off…but they still have love for each other.” It’s been a whirlwind of a year for Ariana, with many devastating events that would even break people made of stone. Pete Davidson was her saviour at one point, taking her away from all the madness and giving her love, hope and happiness, right when she needed it. Since May, the couple have posted about their intense love for each other non-stop, with their engagement being confirmed back in June on The Tonight Show. Although, fans were quick to notice that after the couple’s first official red carpet event at the VMA’s in August, there have been no signs of the couple together since. As well as this, fans even spotted that in early October, Pete had covered up his Ariana Grande ‘Dangerous Woman’ tattoo. Was this an early sign of the two breaking up? Although, all of this information is based off rumours right now, so until either of the couple have confirmed anything, it’s best to take this news with a pinch of salt. Do you think Ariana Grande and Pete Davidson are best to cool things off? Are you upset about the most talked about couple of 2018 breaking up? Let us know in the comments, or on Twitter at @WhatsTrending. BlockChain Report 10/12/18: Is India Launching Its Own Cryptocurrency?